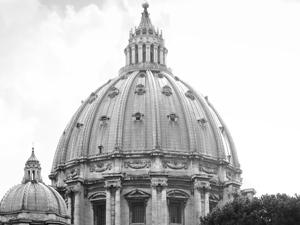 You are here: Home » Learn & Live the Faith » Live in Christ » Will a New Papal Document Curtail Use of the Old Mass? Officially, no one yet knows the content of the upcoming Vatican Instruction to give guidelines for the implementation of Summorum Pontificum — the dramatic and controversial July 7, 2007 papal motu proprio in which Benedict XVI, after long hesitation, granted wider use of the old, pre-Vatican II liturgy, also known as the Tridentine liturgy or the Latin Mass. It is said to bear the date of February 22 — just [three] days from now. According to unconfirmed “leaks” of portions of the document’s contents, the Instruction will, somewhat unexpectedly, contain two clauses which will restrict the celebration of the old rite. It therefore seems strange to many that, if the reports are true, it may contain new restrictions, as if this would be out of keeping with Benedict’s own expressed will. “This restrictive rule,” the web site continues, “would in particular (and would seem thus planned, considering the complications of the Italian Church) exclude the application of the motu proprio to the Traditional Liturgy of the largest diocese in the Old World, and third with most Catholics in the world: Milan. Excluding the enclaves of Roman Rite, the motu proprio would be void in the Archdiocese and in the Ambrosian zones of the Diocese of Lugano, Switzerland. “For over five million Catholics in that area, and for religious priests dedicated to their rites or uses, the rules to be applied would not be those of Summorum (the Traditional Liturgy as a right of priests and groups of faithful), but only Ecclesia-Dei-like privileges and concessions, granted by the liturgical authorities of the Archdiocese (in the case of Milan) or the Superiors (in the case of the orders). “This first major point of the instruction has, thus, a clear repressive and punitive intention. Its sense would be extremely dangerous: that the Traditional liturgies of the West, rather than being encouraged (as the letter of the motu proprio makes clear), must be contained, regulated, oppressed. Not a clear declaration of rights, but a bureaucratic web of limited privileges and concessions: this small example seems to set the general new tone regarding the Traditional Liturgy. In other words, bishops will not be able freely to ordain their seminarians using the old rite. They will be able to celebrate all of the other sacraments — baptism, confirmation, etc. — according to the old rite, but not holy orders, unless they receive ask permission first from Rome. There will be two exceptions, according to the leaked information, when bishops may use the old rite in priestly ordination ceremonies. The first involves those institutes (the Ecclesia Dei institutes) and particular Churches dedicated exclusively to the Extraordinary Form of the Roman Rite. The other exception is that the Bishop that desires to ordain a certain seminarian in the ancient Rite will have to ask prior permission to Rome (to the Pontifical Commission Ecclesia Dei), which will then evaluate if said permission should be granted or not. Some web bloggers argue that the leaks that have been leaked thus far are disinformation, that there is an effort being made to confuse people just before the Instruction’s appearance. Father John Zuhlsdorf, whose popular website “What Does the Prayer Really Say?” (http://wdtprs.com/blog) has reported on the leaks, has encouraged his readers to pray for the Holy Father. “If you are concerned about what might happen to Summorum Pontificum,” he writes, “pray and fast. Don’t whine. Don’t panic. Don’t fret. Don’t behave like a suddenly headless chicken. Zuhlsdorf and others desire to “keep Summorum Pontificum strong” because they see the revival of the old liturgy as positive not only for the Church’s cultural identity, but also for the holiness of her faith and morals. One blogger, noting that he had just read through the “shocking” Philadelphia Grand Jury report, just published, on the investigation into the priestly abuse of minors in the archdiocese of Philadelphia, expresses a feeling widely shared by traditional Catholics: that the loss of the sense of the sacred which followed the introduction of the new Mass in 1970 — for whatever reason — also contributed to a loss of moral discipline, of a moral compass, among many Catholics, especially among the clergy, and that the return to the faith and practice inculcated by the old Mass is the best way to restore the holiness of the life of the Church and end the scandals. But, this blogger notes, after four decades, a return to that faith and practice is bitterly opposed by many in the Church, some of them very powerful and highly placed. If you go to the web site, you can add your name to this petition.